A study into reducing the motion and improving the ride comfort of high-speed wave piercing catamarans has won a leading international maritime research prize. 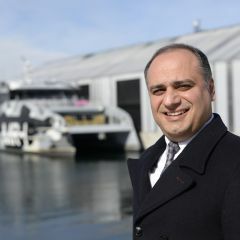 School of Engineering lecturer and Doctor of Philosophy (Maritime Engineering) graduate, Dr Javad AlaviMehr and his team were awarded the Medal of Distinction for best research paper through the Royal Institution of Naval Architecture. 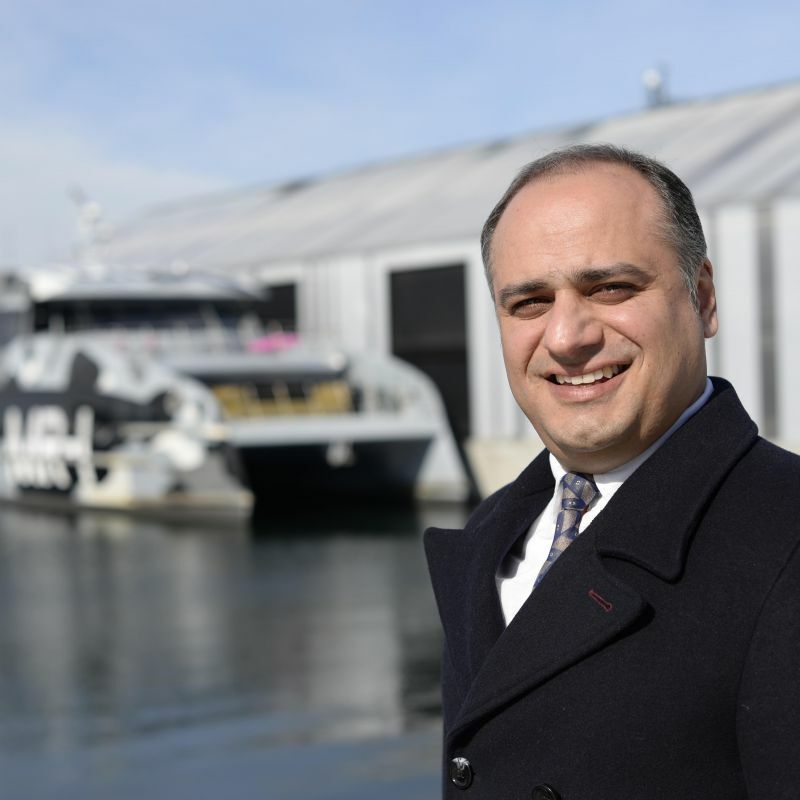 Dr AlaviMehr investigated the response of a high-speed catamaran to an active ride control system by conducting scale model experiments in AMC’s towing tank, based on a 112-metre INCAT catamaran. “The operation of high-speed catamarans in large waves can produce significant vessel motions that can lead to passenger discomfort, as well as extreme loadings during full bow immersion and wave slam impact,” he said. The model was set-up for towing tank tests in calm water to measure the motions response to ride control step inputs. Heave and pitch response were measured when the model was excited by deflections of the T-Foil and the stern tab separately. Appropriate combinations of the control surface deflections were then determined to produce pure heave and pure pitch response. This formed the basis for setting the gains of the ride control system to implement different control algorithms in terms of the heave and pitch motions in encountered waves. The findings from Dr AlaviMehr’s work provide an insight into the motions control response and form the foundation for future investigations exploring optimal control algorithms. “The development of an improved ride control system at model scale can now be used as a basis for improving the ride comfort and design of future high-speed wave piercing catamaran vessels,” he said. The paper was published in the RINA 2017 Transactions, International Journal of Maritime Engineering and co-authored by Dr Jason Lavroff, Dr Damien Holloway, Professor Mike Davis and Professor Giles Thomas.